Some are suing the social-media firm for misleading them before its IPO about competition from Instagram. Now U.S. watchdogs are conducting a probe. Bad conduct deserves punishment. But investors willingly bought stock with no rights in an immature company with lots of rivals. A woman photographs a banner for Snap Inc. on the facade of the New York Stock Exchange (NYSE) on the morning of the company's IPO in New York City, NY, U.S. March 2, 2017. 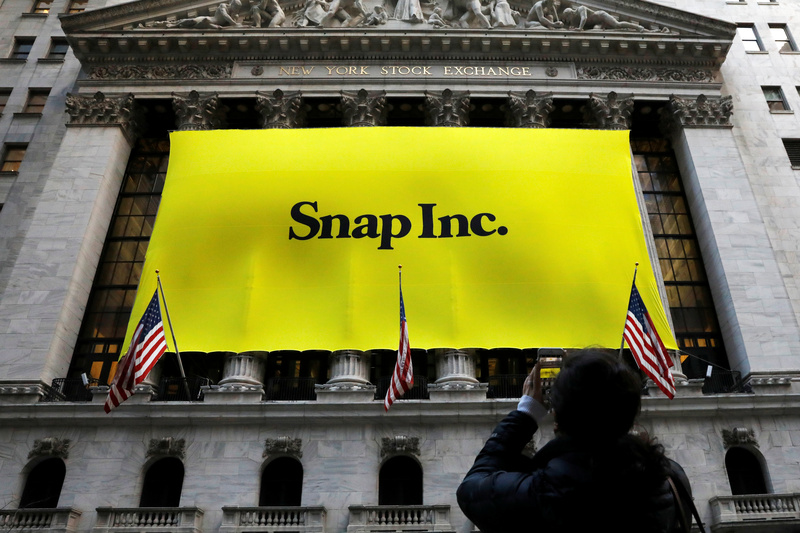 The U.S. Department of Justice and Securities and Exchange Commission have subpoenaed Snapchat parent Snap for information about its 2017 initial public offering, Reuters reported on Nov. 13. The federal inquiries follow a shareholder lawsuit that alleges Snap misled investors about how Facebook’s Instagram would impact Snapchat’s growth.